The Swedish TV streamer is bringing free-to-air TV personalisation to the UK masses, but it's got quite a task on its hands. Magine TV has this week launched the small-scale beta test of its subscription-based TV streaming service. The service has been running in its native Sweden since 2013 and last year opened up to viewers in Germany, where it now has an estimated 1.5 million registered users. Now Magine TV has got its sights firmly on the UK market. 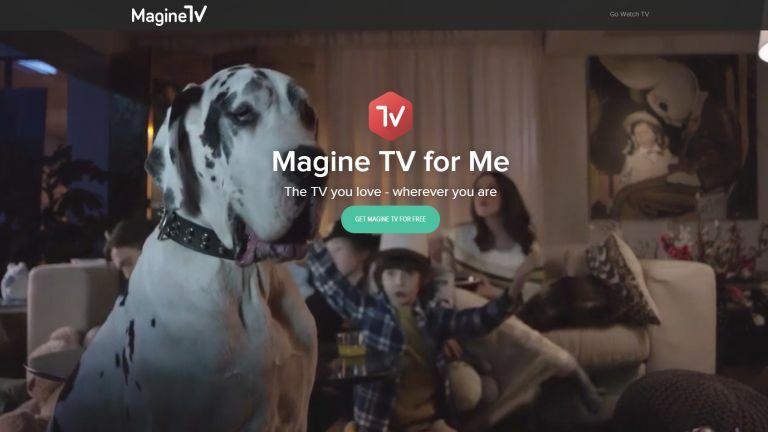 Working initially with ITV, Channel 4 and Channel 5, Magine TV is aiming to bring a personalised live TV streaming service with no necessary hardware and no fixed contracts. There is though set to be a subscription when the service goes live in a couple of months. We don't know as yet what the cost is going to be, but in Germany it charges a technical fee of €6.99 for the package which contains the free-to-air services. Considering the broadcasters covering the twelve channels currently in the beta are entirely free-to-air that seems like a good guess at what it'll cost in the UK. There is a higher-tier package in Germany though, which offers new content from pay-TV broadcasters for another €10 on top of the base price. It's going to be quite an ask to expect great numbers of UK users to pay for a subscription to a service that only offers what they can get for free elsewhere, but Magine TV is hoping its personalisation offerings will set it apart. “Personalisation is standard in other forms of entertainment as well as in other online consumer mediums, yet has been lacking in the TV space,” Ambuj Goyal, CEO of Magine, told us. Magine TV then allows users to customise their experience, letting them rearrange the EPG however they like, and select specific shows to add to their 'My Lineup' page. By tagging a show users will then get a notification on their desktop (or their device if they've gone mobile) when that show is about to start, allowing them to go straight in and watch. At the moment it's a solid service in the beta test, but you're really not getting much more than you can from the broadcasters' own online platforms or sites like TVCatchup. Magine though is going to need a lot more than the twelve channels it currently has on offer if it wants to gain any traction in the UK. It's expecting more to follow the current lineup, but hasn't released any information as yet who else it is courting. Is Netflix still the king of video streaming?